Whew! I’ve said it before and I’ll say it again, I could use Hermione’s Time Turner device. Dreamspinner Press is currently holding a 25% off sale on all paranormal titles until Oct 31st–which means most of my stories are on sale right now! Even more exciting, however, is the fact that this weekend only, you can snag a copy of Crying for the Moon for only 99 cents as part of Dreamspinner’s Weekend Reads deal! I do love this tale of Alex and Tate, struggling to find out what ‘normal’ means in a world of vampires, werewolves, and shifters. 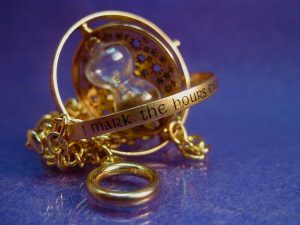 I’ve been saying for years I intend to write more in that universe, and I do, but see the note above about the Time Turner device. I’m currently winding up edits on my holiday story with Dreamspinner, called Holiday House Swap. In it, reclusive snarky author Noah Finley battles a professional crisis and writer’s block by arranging a house swap for Christmas, only someone forgot to tell the real owner about it! Major Connor Harrison faced retirement or dishonorable discharge due to his actions to save a buddy overseas–the last thing he expects to find in his house when he returns is a sharp-tempered, wickedly funny writer. I look forward to being able to share that story with you soon! I’m also beginning edits on the expanded version of Unspeakable Words. This was the first major story I’d ever released, and as the series has grown over the years, I realized there were things I wanted to delve into deeper detail with the original story. I’m very excited about being able to revisit the beginning of Flynn and Jerry’s story, as well as a relaunch of the series (hopefully after the first of the year)! As soon as I finish these edits, I’ll be writing the final installment in the Sixth Sense series. The entire set is on sale right now with the Dreamspinner Paranormal sale, so if you’ve been thinking about starting the series, you should grab them now! I’m also working on a short epilogue to Fool’s Gold, available only to those who sign up for my newsletter. There’s still plenty of time to sign up, so be sure to do so if you want the latest updates and exclusive material! And I’m working on several other stories for different projects at the moment as well–which leads me back to the opening paragraph! Man, I’d love a Time Turner! This entry was posted in Uncategorized and tagged announcements, books, Crying for the Moon, discounts, Dreamspinner Press, ebooks, gay romance, GLBTQ, male male romance, paranormal, sale, Sarah Madison, The Sixth Sense Series, Unspeakable Words, upcoming release, writing by Sarah Madison. Bookmark the permalink.